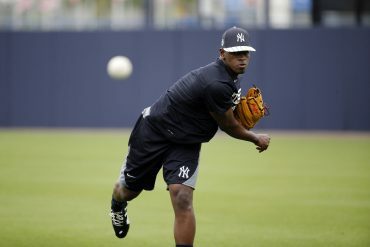 The Yankees will enter the 2013 season without an offensive-minded catcher for the first time in about 17 years. 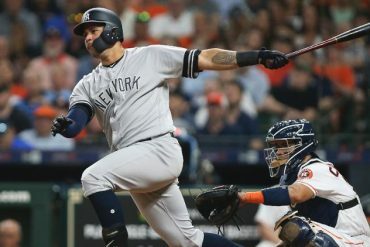 The departure of Russell Martin has left much to be desired offensively from the current crop of backstops, mainly Francisco Cervelli – who figures to be the starter – and likely backup Chris Stewart. The situation this year is very similar to what happened in 1996. 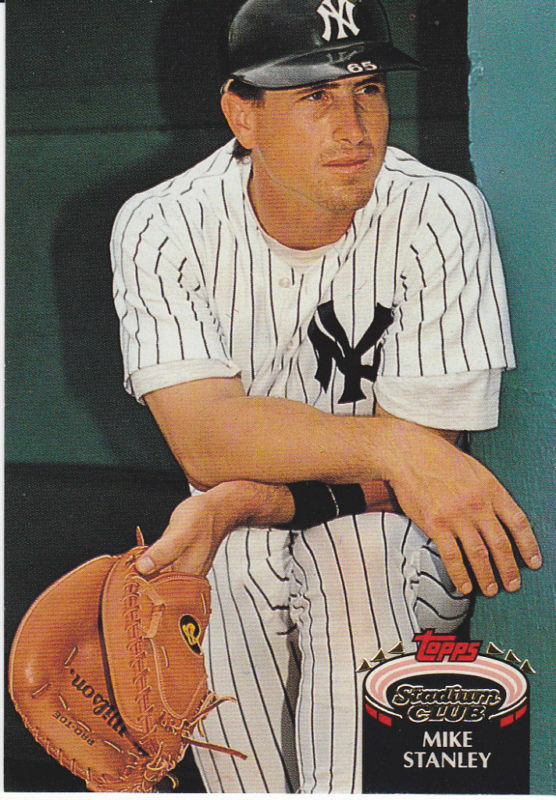 Mike Stanley, who had been a fan favorite with the Yankees for four seasons, signed with the Boston Red Sox on November 1, 1995. He had just come off a season where he hit .268 with 18 home runs and 83 RBIs. His best year came in ’93 with New York, when he hit .305 with 26 homers, 83 RBIs and had a .389 OBP. Joe Girardi was acquired from the Colorado Rockies just 19 days after Stanley left. Mostly a part-time catcher at that point, Girardi was asked to take over the catching duties for the ’96 season. At the time he was obtained, he had a career average of .269 and had amassed 18 homers and 190 RBIs in seven seasons. In other words, Girardi wasn’t half the offensive player Stanley was. What did separate the two, however, was defense. Girardi was a defensive first catcher, who worked well with pitching staffs, while Stanley’s main attribute obviously was his bat (he struckout 106 times in 1995). Fans were upset that Stanley was let go; they couldn’t understand sacrificing offense for defense. Sound familiar yet? Now, Girardi wasn’t seen as the catcher of the future back then. 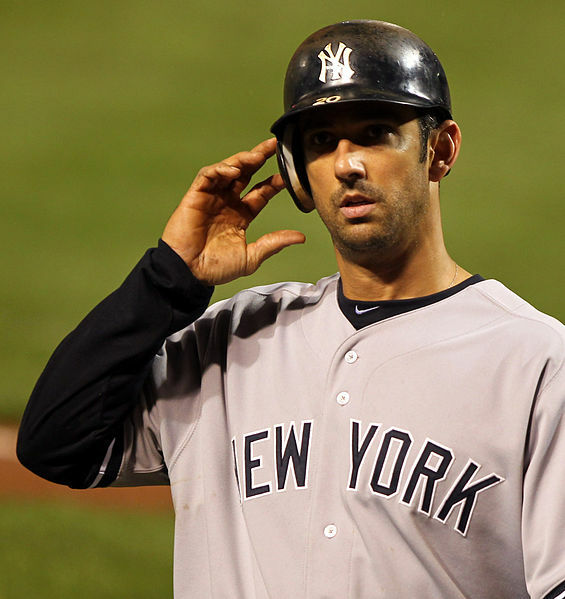 Waiting in the minor leagues was a guy by the name of Jorge Posada. Posada, who was drafted as a second baseman, was called up to the big leagues in 1995 (along with Derek Jeter) and appeared in one game. In 1996, Posada appeared in 8 games, and went 1-for-14 with six strikeouts. His game was viewed as being an offensive first kind of guy, but still could play adequate defense. Girardi went on to play in 124 games in 1996, hitting .294 with just 3 homers and 45 RBIs, while playing stellar behind the plate (.996 fld pct). 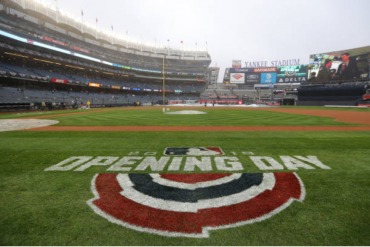 The season ended with the Yankees’ first World Series Championship in 18 years. In 1997, at the age of 25, Posada was deemed ready to take the next step. Girardi appeared in 12 less games than the season before, hitting .264 with a homer and 50 RBIs. In just 60 games, Posada went .250, 6 homers and 25 RBIs. Finally in 1998, the Yankees started to move Posada into the main catching role, as he played in 111 games to Girardi’s 78. In 2000, Girardi was gone to the Chicago Cubs, and Posada played in 151 games hitting .287 with 28 homers, 87 RBIs and a .993 fld pct., en route to a third straight championship. Posada threw out 33 percent of base-stealers that year; the league average was 30 percent. Posada of course went on to be one of the greatest Yankees of all-time. His last year came in 2011, when he appeared at catcher in just one game, out of necessity. Russell Martin was the starter that year, and hit .237 with 18 homers and 65 RBIs, one of the better offensive outputs by a catcher in ’11. Fast forward to now, and you see a very similar situation playing out. Cervelli, who will most likely be the starter, will be asked to take over for fan favorite Martin, who put up some impressive power numbers and had some big hits for the team over the past two years. Fans were upset by his departure to Pittsburgh, citing a severe lack in offensive production for the upcoming season; Cervelli’s game is based more on defense. 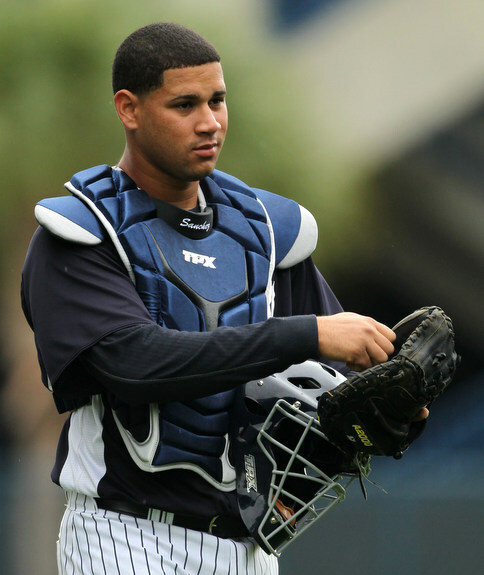 Once more, the Yankees have a stud catching prospect waiting in the wings. Again, sound familiar? Gary Sanchez, who is only 20 years old, figures to be a couple of seasons away from the Bronx. In 2011 for Class A Charleston, Sanchez hit 18 home runs and drove in 85 RBIs while hitting .290. 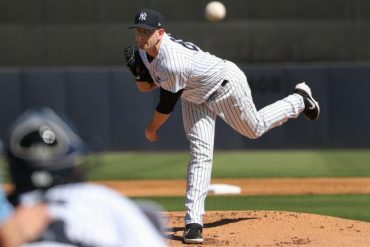 He threw out 30 percent of baserunners, but his defensive skills still need refining. By no means is Cervelli the catcher of the future. 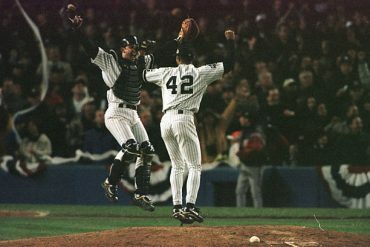 The Yankees are just buying time until the kids are ready, just like they did from ’96-’98 with Girardi and Posada. 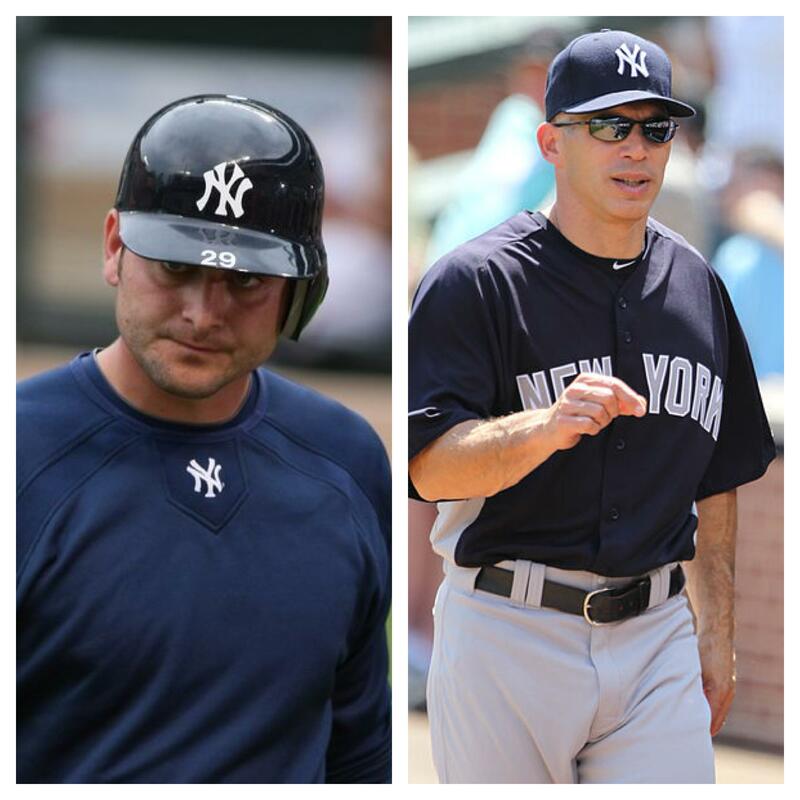 Also in the Yankees’ system are Austin Romine and J.R. Murphy. These guys are more far along defensively, but don’t compare with the bat to Sanchez. If the Yankees can get decent numbers out of Cervelli and Stewart this season while getting very solid defense, the team will be quite alright. Now, I know the teams in the mid 90’s had other guys to make up for the lack of offense, but this year’s team – when healthy – is more than capable of doing the same thing. 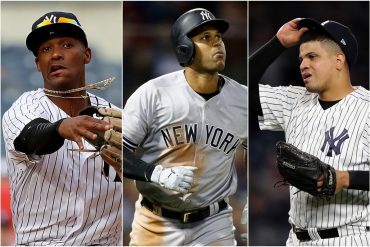 If history is any indication, the Yankees and their fans should have no worries about the catching position in the future. It’s deja vu all over again, as a former Yankee catching legend once said.